Although not the first vampire novel, Dracula is the most famous original, the one that really seems to have influenced a certain awe with vampires for nearly a century and a half. And as most of us know, vampire culture is huge in the US. I wouldn’t consider myself a huge fan of vamp culture, but I’ve definitely read some of the books and watched some of the TV shows and movies. I’ll admit right here that I’ve seen two of four Twilight movies, and I’ve already admitted in the past to reading all but the latest Sookie Stackhouse book. I really enjoyed this book. From the vampire story to the epistolary nature in which it’s told, I was riveted. 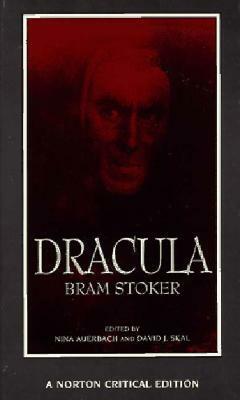 In the beginning we’re told that the manner in which the story was accumulated will eventually be revealed, but before then, we’re treated to first person accounts of Count Dracula in Jonathan Harker’s journal, concerns about her loved ones and wishes for their future in Mina Harker’s journal, a few bits and pieces about her sleepwalking ordeal in Lucy Westenra’s journal and a few memorandums and notes from other characters. Eventually, the journals all focus on one thing: Count Dracula. I found the themes of the book–the role of Victorian women in society, immigration and more–interesting as well. In regard to the role of women, that’s mostly addressed by the back and forth the group of men has with Mina. Will she be allowed to help or won’t she? At times, she seems to be emotionally stronger than the men, going so far as to continue to encourage them and support them as she’s dealing with her own issues. But, yet, the men still aren’t sure how much involvement she should have. For a time, that almost makes me feel sorry for Dracula but only for a short time. There are so many good quotes in this book, so here are a few of my favorites. See my quotables section above. I found the writing in this story to be almost top notch. The epistolary approach allowed Stoker to more than adequately develop his main characters. The structure of the plot was good, but I felt it a little lacking. There were many times when I was a little confused at the passage of days and each characters’ activities. Really this is a great story. Have you read Dracula? What did you think? 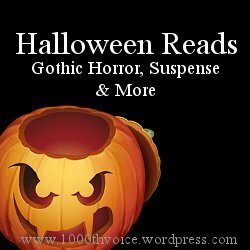 This entry was posted in books and tagged 3 stars, book reviews, Bram Stoker, classics, Halloween, Halloween reads, holiday reads, horror. Bookmark the permalink. “Listen to them, the children of the night. What music they make!” A fantastic read and one of my favorite novels. Greate reivew! That almost made my Quotables! It was a great book. I still need to read Dracula! I’ve had it for so long, but never get to it. Oh, you really need to read it. It’s so good!